I'm officially 20 weeks, half way, 5 months into this pregnancy and our little girl is definitely determined to SHOW! I'm really making an effort to find bump-friendly NON maternity clothes during this pregnancy. Not only for you guys, because I know a majority of my readers are not pregnant right now, but also because who wants to spend all their money on maternity clothes you'll only be able to wear for a handful of months?! Today I'm sharing some of the things I look for when shopping for bump-friendly clothes that will work before, during and after pregnancy! 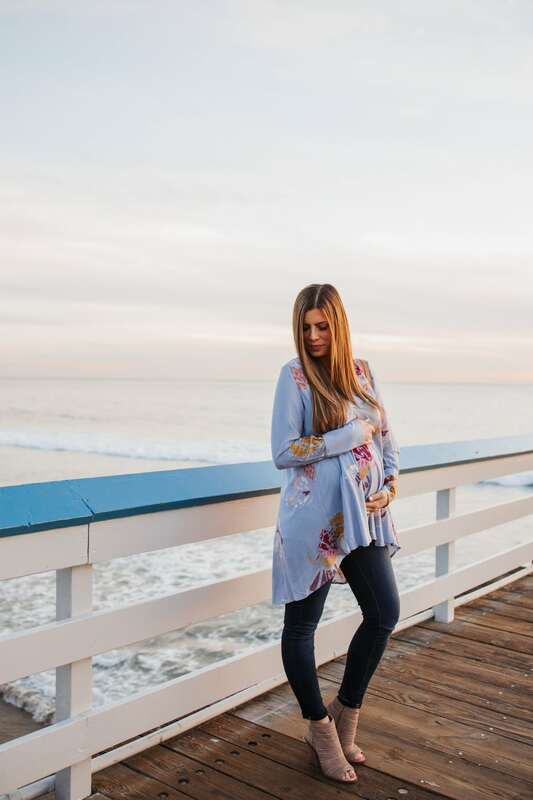 This flowy tunic top is NON-maternity but perfect for a bump for a couple of reasons. First of all, it has that perfect empire waist cut that's really flattering while pregnant! It's also long enough to cover your belly as it grows – very important while picking clothes to wear with a bump! Unfortunately this exact color is sold out, but here are more color options that are equally as pretty! One of the smartest investments in bump-friendly clothing is finding pieces that are billowy enough to conceal after your babe comes out and you're still shedding pregnancy weight. Most women take a few months (or even a year!) 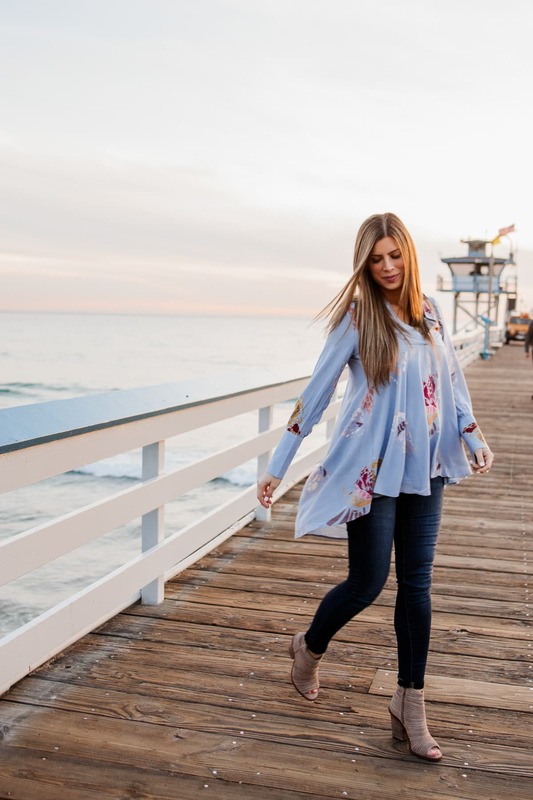 to bounce back to their pre-pregnancy body, so the more loose and forgiving your tops are, the more comfortable you'll feel in your own clothes. As I mentioned earlier, a good pair of maternity jeans can go a LONG way and so far this pregnancy, this pair has been my absolute favorite! They're extremely comfy and have amazing stretch without feeling like your bum is sagging by the end of the day. They do run true to size too, so order the size you normally would. I kind of feel the same way about kitchen knives and maternity jeans: I'd rather have ONE that's amazing than a dozen that are crappy. Invest in a good pair of maternity jeans and you'll never look back! We finally got some sliiiiightly warmer temps last week so I jumped on the chance to wear these open-toed booties! They're extremely comfy and run TTS and they're perfect for transferring from Winter to Spring fashion. 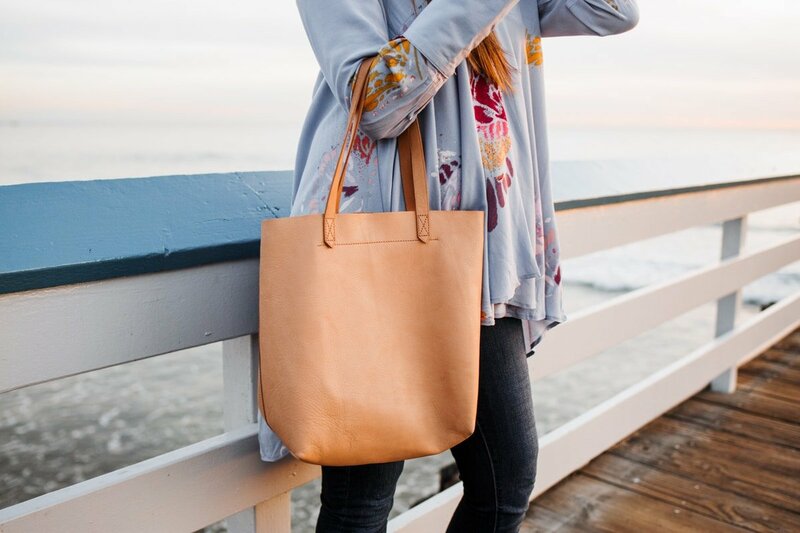 Last of all, this trusty tote is the perfect size to slide all your accessories or even a 13″ laptop into and run all over town. It's made of buttery soft leather and it looks good with everything! This exact tote is sold out, but here is a very similar one. 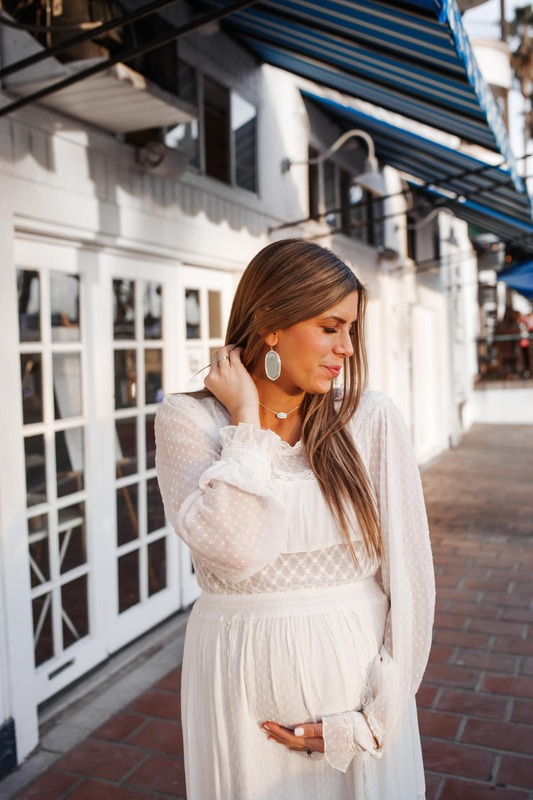 Among some of my other favorite things to find for before, during and after pregnancy are good maxi dresses, cardigans, and loose tunic tops. 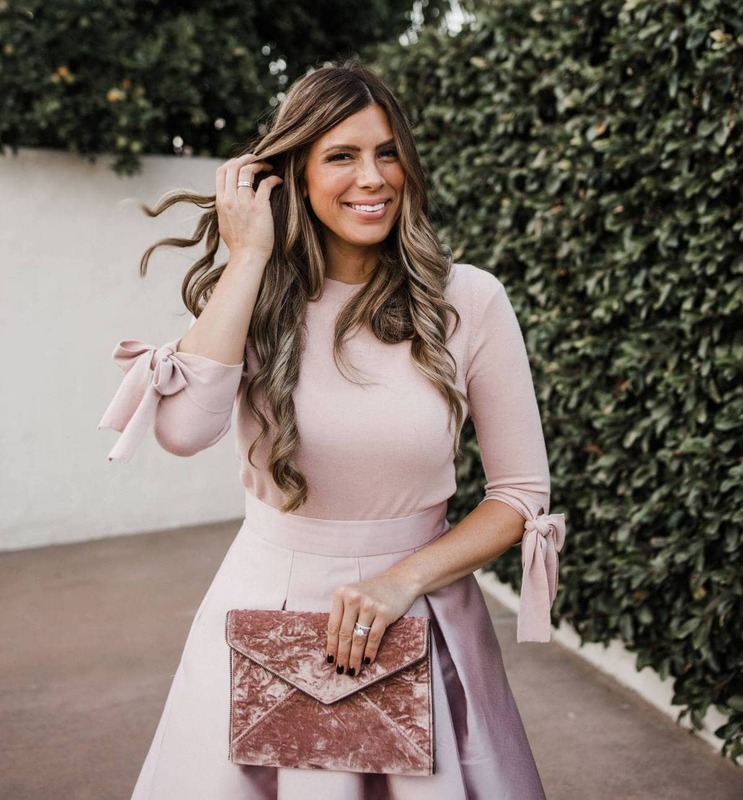 I've rounded up some of my favorite bump-friendly clothes for before, during and after pregnancy that I have my eye on. See them below! Try out my new favorite jewelry service FREE!